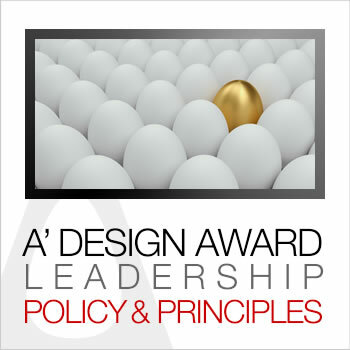 A' Design Award Leadership Principles are quite realistic. It is about being good and efficient. Our Leadership Principles are quite realistic. It is about being good and efficient. The Leadership Principles are the values we wish to have in every person that works with and for us. Audience Oriented - Listen to customers, consumers and press members. Customers can help you create new products or new functions that satisfy new needs. Needs are born every day. Consumers who use and interact with the products can help improve them, consider support requests as requests for new functions and products. Press members and journalists can help you perfect your offering by highlighting issues, key factors or value propositions. Greater Good - You are not alone at this institution. You need to think of the greater good, and create value for your team members, partners, investors and mentors. You need to be flexible, you need to be occasionally able to do tasks that are beyond or below your skills, especially if there is no one else that could do that. 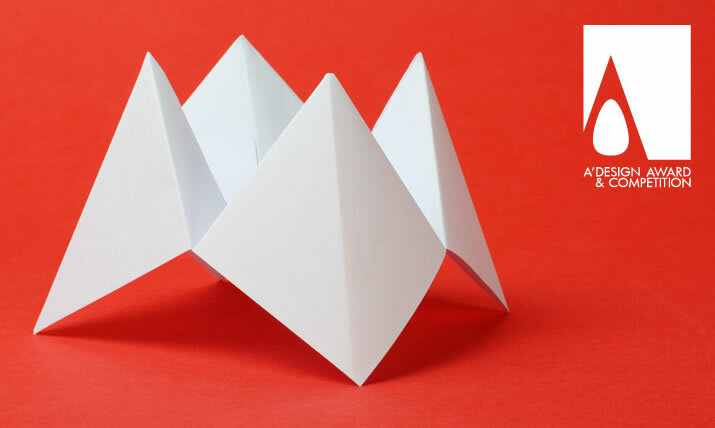 Creative Inventor - Part of your time is about doing your tasks, another part is about improving the way you do tasks, and then there is the part where you should find new tasks for yourself to do. You need to invent, you need to create, you need to be a creative inventor. Whenever you have no task, your task is finding a task to do. Due Diligence – Do the correct thing today, take the hard way especially when it comes to core business practices, try to do your job with a good amount of mental effort invested in each task. Listen to customers, check the numbers, gather feedback, test, explore, do the research and testing before publishing or releasing new products or services. Hire Competitors – You should not hire anyone that is less capable then you for your task. If everyone hires someone better, the people you work with will always be great. People you hire should be sustainable, they should create more value then their salary. Talent, motivation, hardworking, and good person are some subjectives to search in people you hire. Create Standards – Create systems, guidelines and standards so that other people could follow them. Think deeply on your standards, and make them correct. You can deliver high quality products, services and processes perpetually with standards that are not only good, but allow for improvements, think years in advance for your standards, design for future. Think about Thinking – Think about future, think about needs, think about humanity. Think about your time, think about yourself, think about your company, think about people who think about you, think about people who pay your salary, think about the customers who share hard earned salaries with your company so that your salary could be paid, think about how to create more value for all. Get it Done – Try new things. Fix stuff. Take risks. Reduce risks. Take action. Observe action and make it better. Do it. Do it now. Done. You are your best manager. When there is no manager, you are the manager, and when there is no workforce, you are the workforce. Take decisions fast, be agile, quick and have dexterity for action. Sustainable Frugality – Spend less money. Bargain. Do the same thing with less cost. Remember, each cost you add creates an additional burden to the customers and consumers that indirectly pay your salary, you need to reduce the costs so that the consumers and customers can spend more time with their families. Try to use what is at hand and use available resources at their fullest potential. Keep Learning – Times change fast. New technologies are invented everyday, the life and way of doing things change fast. You need to constantly learn and be curious of developments in your niche as well as you need to be very observative of the customers, consumers and the society in general to understand their new needs and preferences. Be a True Leader – Take initiatives. Take action. Speak the truth with respect. Take responsibility. Take care. Trust and inspire others. Delegate tasks to others, but before doing so, create a process that is well documented and consistent, so that you could also check and evaluate the output as well as the performance and you could re-assign the same task in future to others. Vast Details – Think of the overall picture, it has vast details and each detail contributes to the beautiful and complete composition of the big image, each detail must be carefully planned and executed. To ensure your team can execute details, you must be able to undertake the first detail yourself, you need to do the simplest task and teach it to others. Care to Disagree – Respectfully challenge ideas of others, but in a constructive manner. “You cannot do that” is a miserable, under-powering statement, instead say “You can do that instead”. Support others' ideas, divulge on how their ideas could be executed, think about all the possibilities, care others thoughts and respect them enough to disagree them when needed. Results Oriented – Have both short term and long term goals. What will your involvement provide to the institution, today, tomorrow and in future? Think about which results can be achieved within your grasp. Always have short term as well as long term projects run in parallel, aim for perfection and settle for greatness. Love – Love your work, if you do not love your work perhaps you are not worthy to be working for your work, think of all the other people who could do this task, think of your clients, consumers and customers, and think yourself as a client, consumer or customer, and give love to them, to yourself, to your work, to your institution. Love your friends, colleagues and family. The A' Design Award and Competition aims to create social good via the A' Design Prize. Our aim is to create incentives for designers to come up with superior products that could advance society. We do not wish to leave it to luck.